One man is dead and two are in the hospital following a shooting Thursday afternoon in San Francisco's Mission District. A woman attacked a Yellow Cab taxi driver Tuesday night in San Francisco's Potrero Hill neighborhood and then carjacked him. 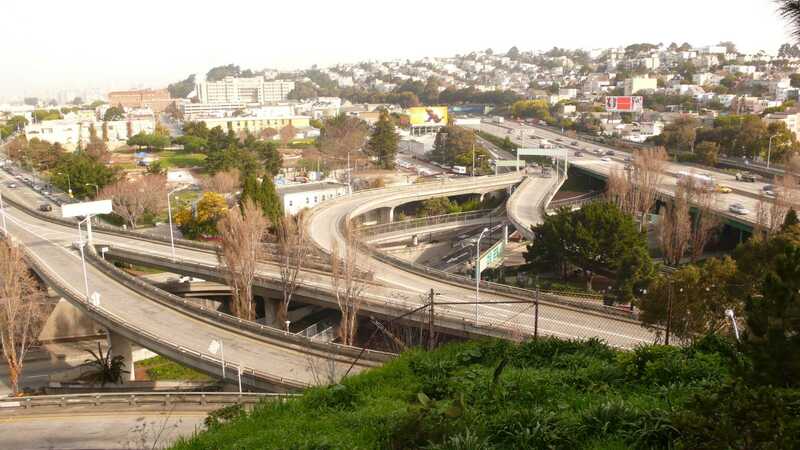 An interchange in San Francisco known as The Hairball will be improved with new bike lanes and upgraded pedestrian crosswalks. A bicyclist was seriously injured in a collision in San Francisco's Mission District on Monday morning. 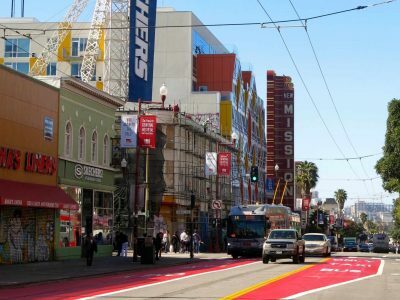 San Francisco is relaxing some of its forced right turns on Mission Street as a compromise between merchants and residents. A small sinkhole opened up on the Cesar Chavez offramp from southbound U.S. Highway 101 in San Francisco. Magazines, flyers and other advertisements destined for a U.S. Postal Service office was retrieved undamaged from an overturned truck in San Francisco. At least one person died in an accident this morning on southbound U.S. Highway 101 in San Francisco. Police have arrested a man who allegedly assaulted a 31-year-old deaf woman in San Francisco's Mission District. A woman was shot in the thigh Tuesday evening near a homeless encampment beneath a U.S. Highway 101 overpass. A man bit off another man's finger during a fight on Mission Street overnight Tuesday. Police arrested a transient man on suspicion of murdering another transient man beneath a U.S. Highway 101 on-ramp.